The Pennsylvania Department of Corrections said Monday that Sgt. Mark Baserman (left) died from injuries sustained when he was attacked on Feb. 15 by inmate Paul Jawon Kendrick (right). A guard at a Pennsylvania correctional facility died Monday after he was brutally beaten by a prisoner, officials said. Sgt. 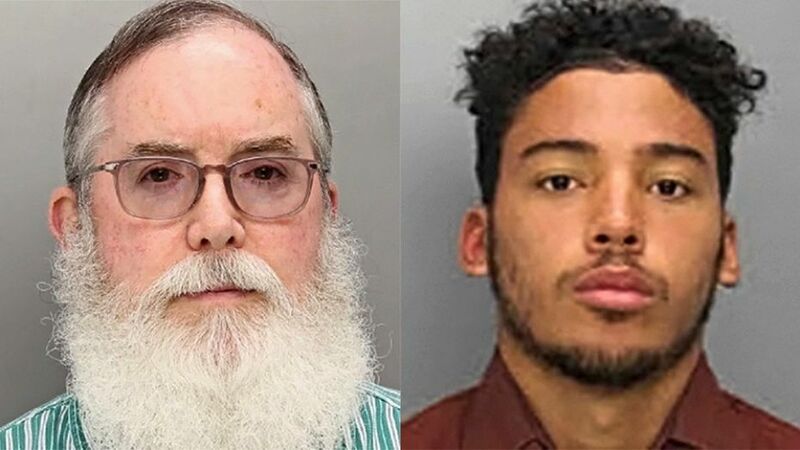 Mark Baserman, 61, was reportedly punched and kicked in the head on Feb. 15 while on duty at State Correctional Institution Somerset, in Somerset County by inmate Paul Jawon Kendrick, 22, who’s serving a life sentence for murder. State police said that after Kendrick punched the guard in the face, he punched him in the head roughly 10 times and kicked him in the head. At that point, Baserman was unresponsive. The attack was reportedly sparked after Baserman confiscated a towel earlier that day which Kendrick was using to block other people’s view of his bunk. Another officer attempted to assist Baserman, but was also attacked by Kendrick, the corrections department said. Kendrick was arraigned Monday on assault charges in the alleged attack on Baserman and the second guard. Officials said Kendrick has been transferred to another prison. The head of the state corrections officers’ union called Baserman a hero and urged the prison agency to ban heavy boots. “These boots are being used as weapons and must be removed immediately,” Jason Bloom, president of the Pennsylvania State Corrections Officers Association, said. Kendrick was serving time after being convicted in 2015 in the 2014 death of 21-year-old Maurice Freeman, the Pittsburgh Post-Gazette reported. Baserman began working for state prisons in 2007 and was at Cresson State Prison before going to Somerset, 70 miles southeast of Pittsburgh. He was promoted to sergeant in 2016. The Department of Corrections said the last time a state prison guard was killed by a prisoner was in 1979, at a correctional facility in Graterford.